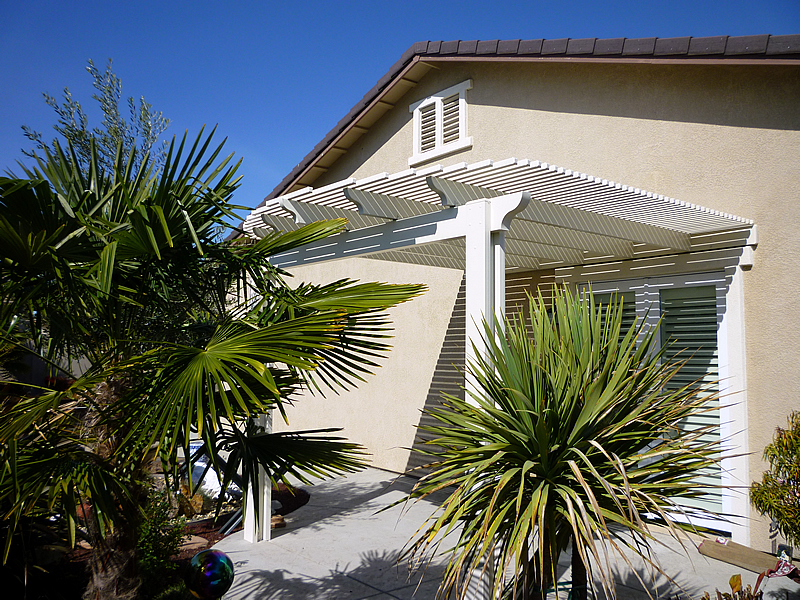 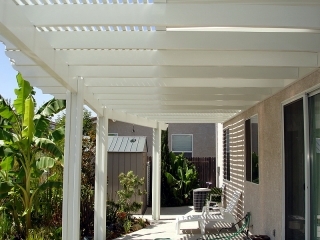 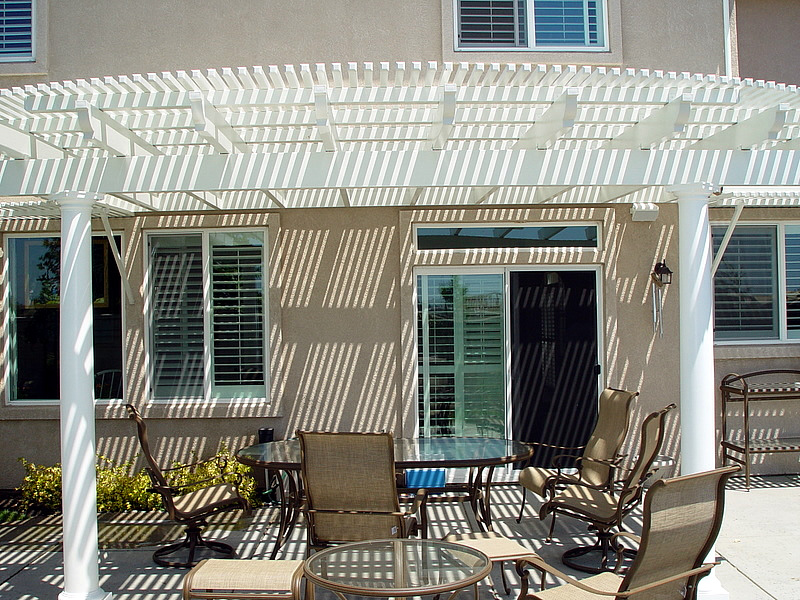 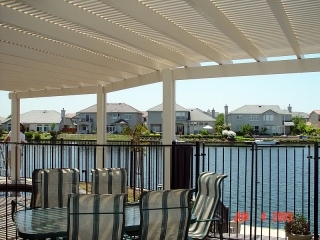 Add beauty and value to your home with a new patio cover professionally installed by HomePRO. 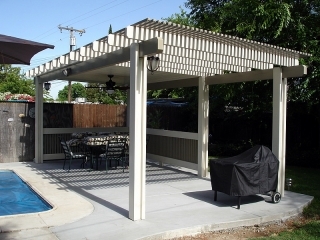 With hundreds of styles to choose from, HomePRO can help you custom design a patio cover that would be perfect for you and your backyard. 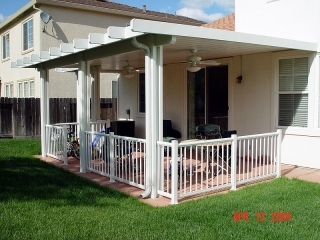 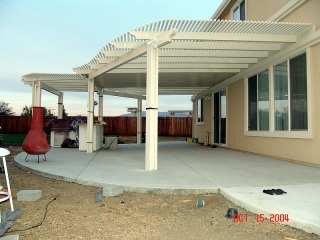 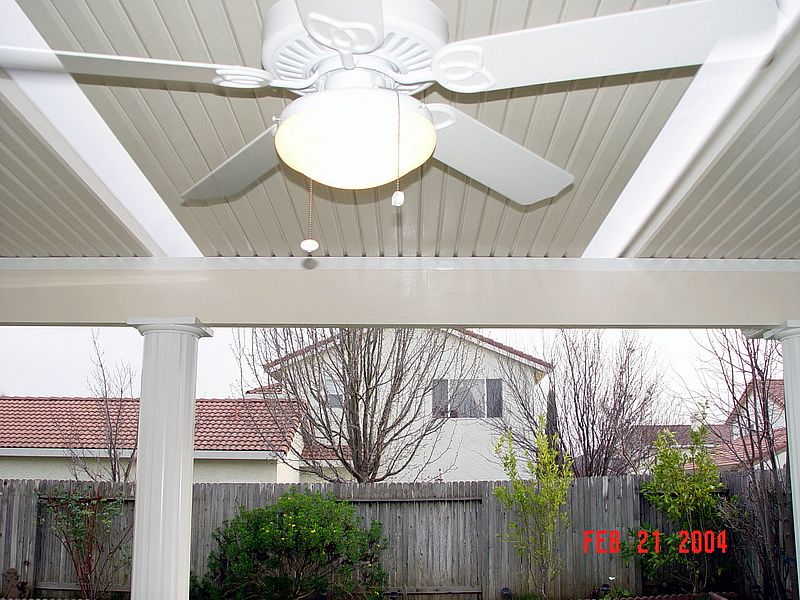 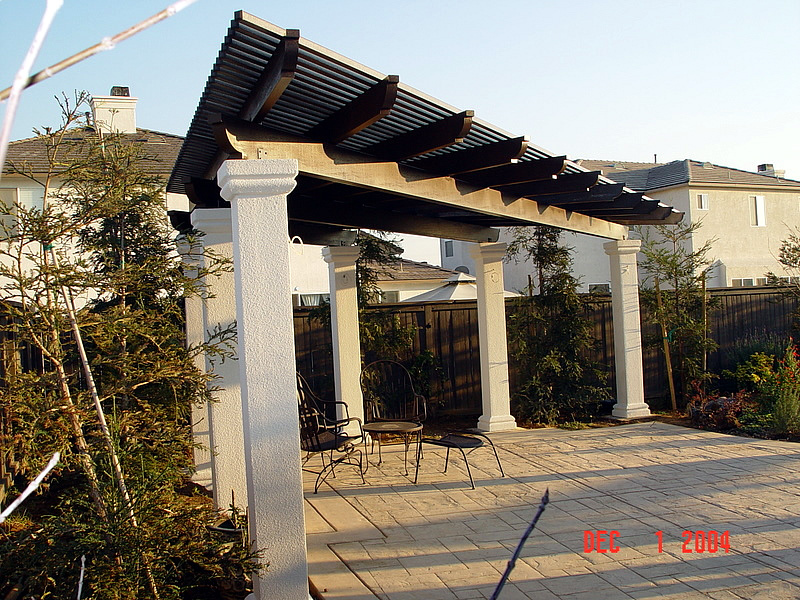 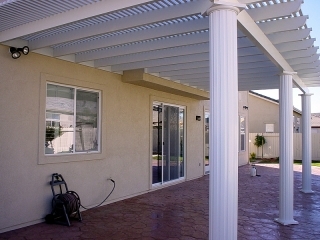 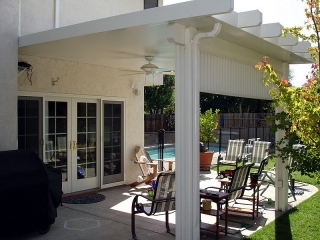 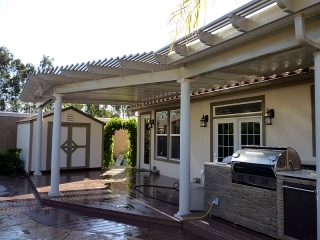 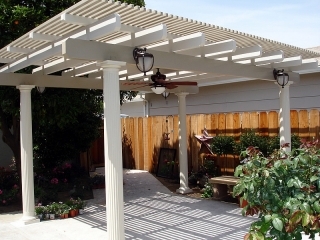 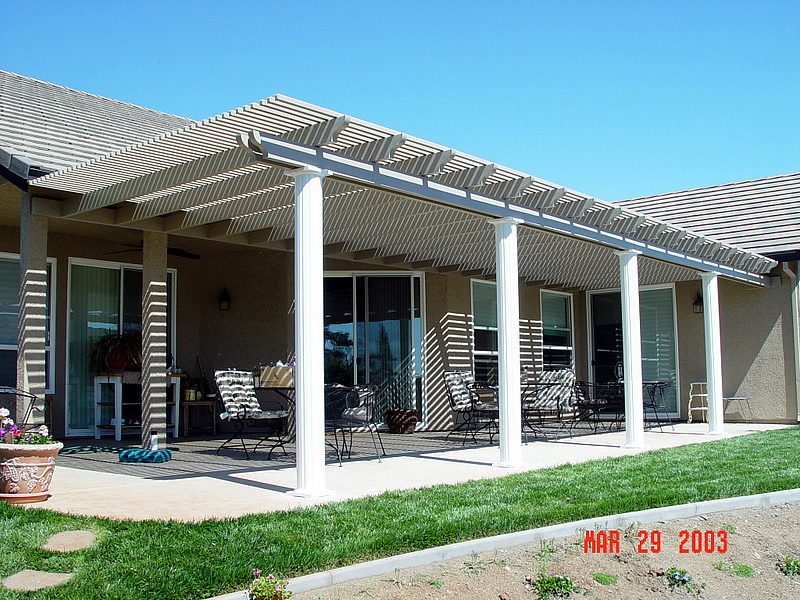 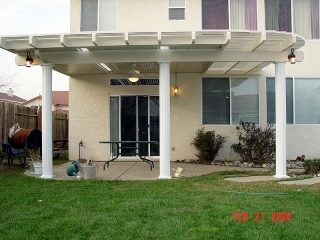 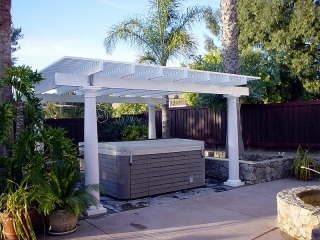 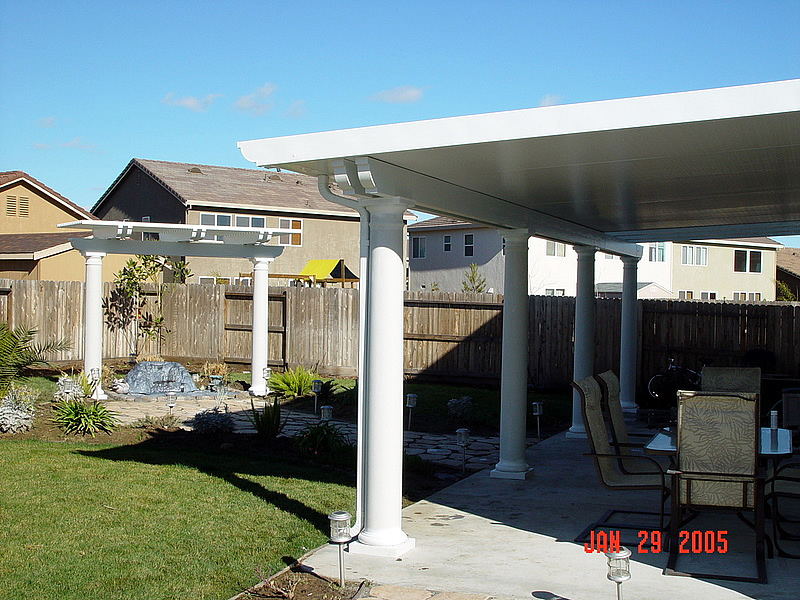 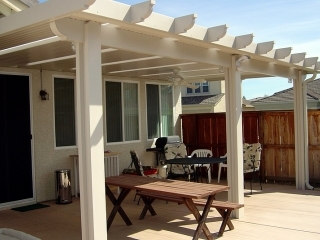 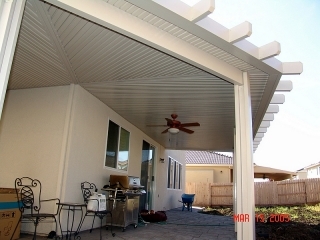 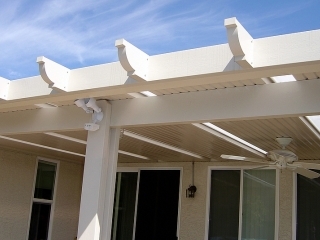 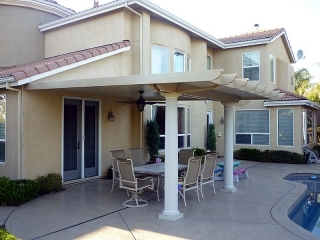 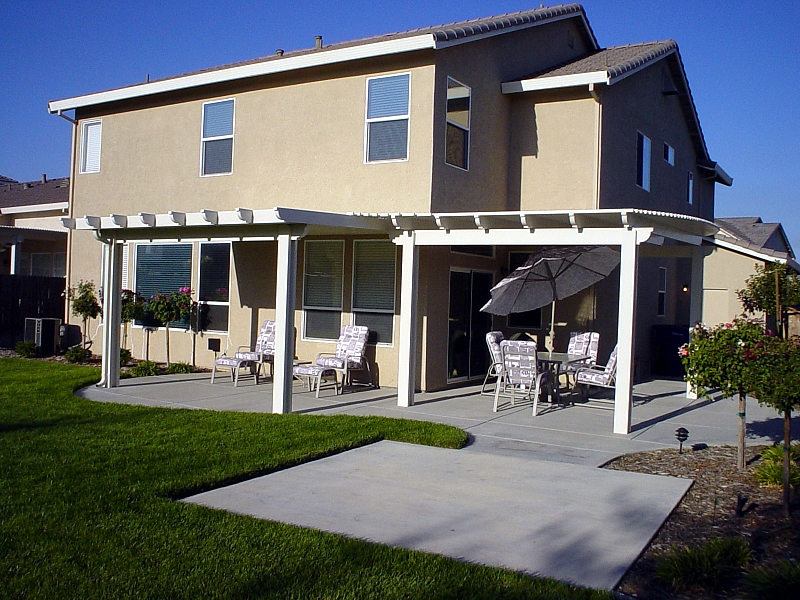 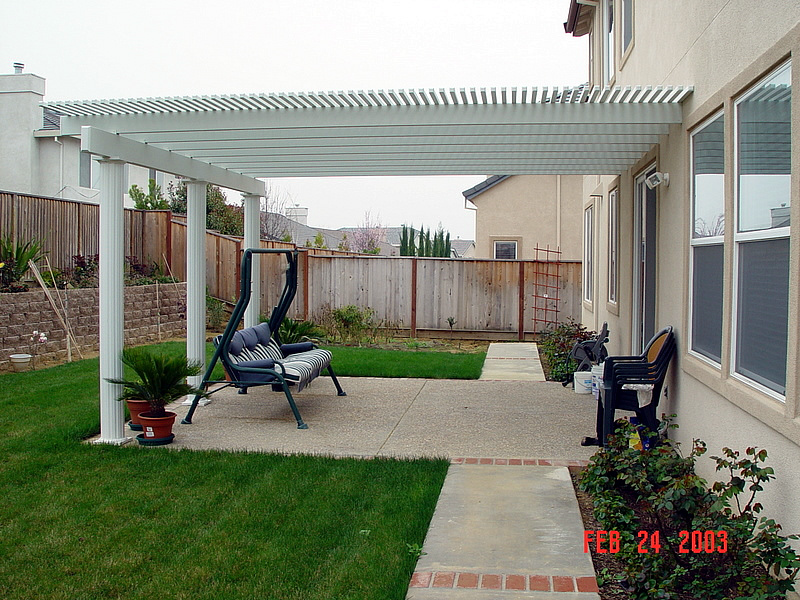 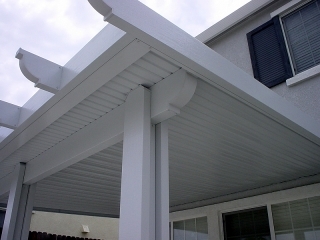 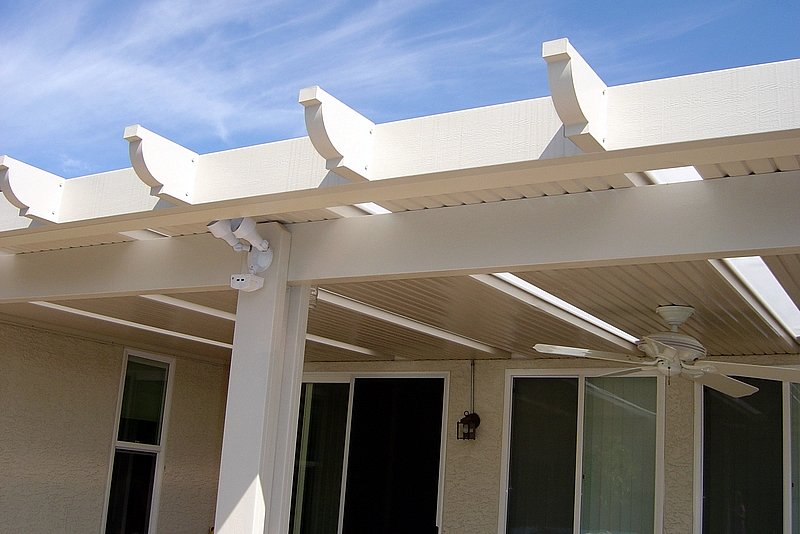 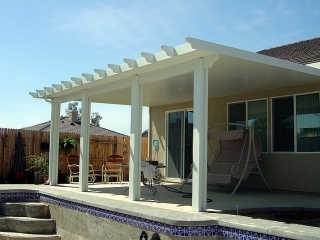 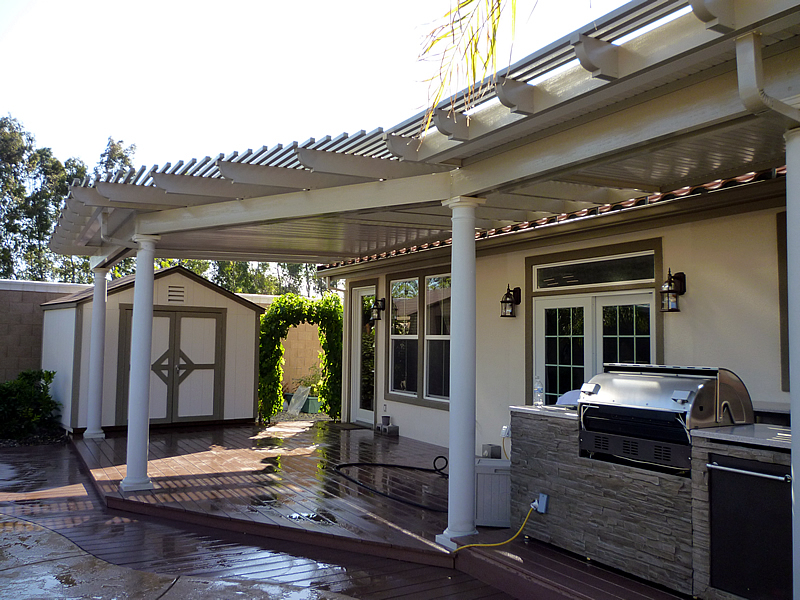 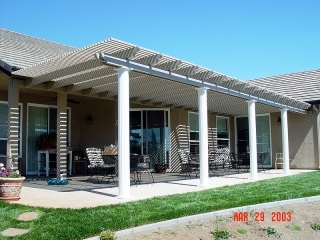 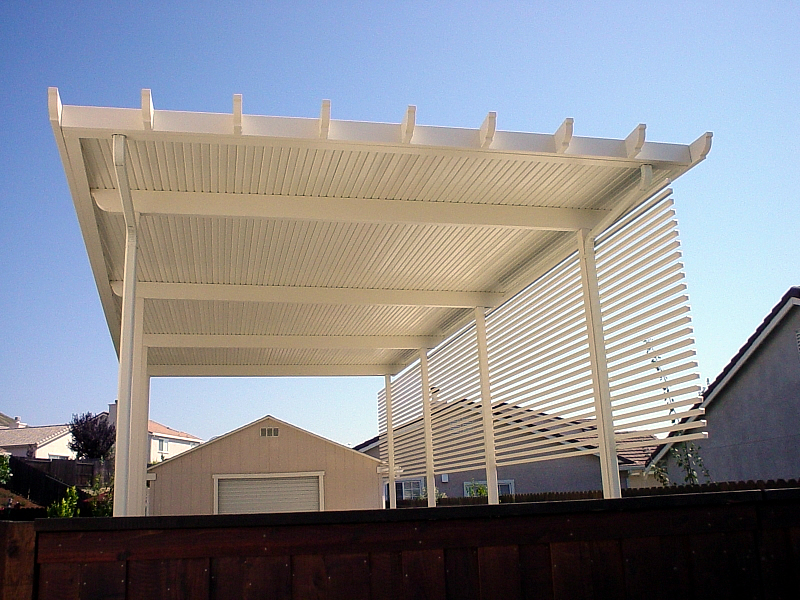 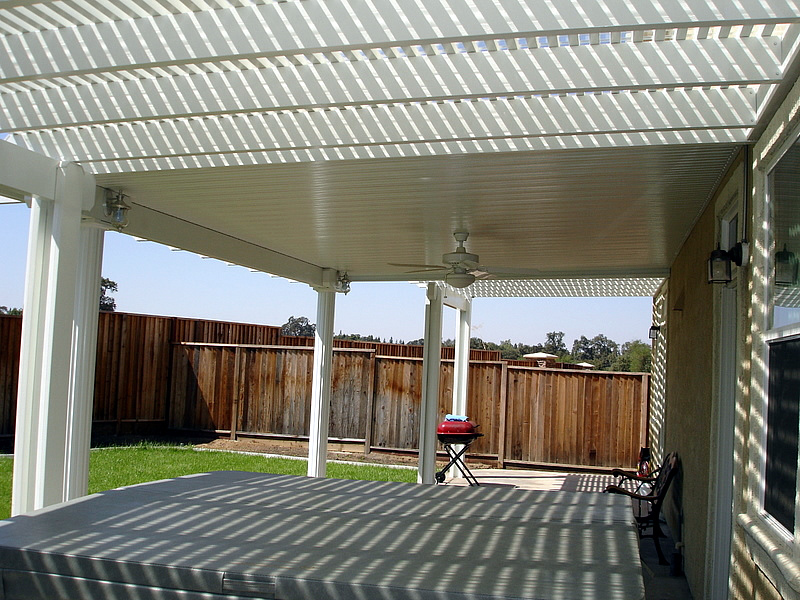 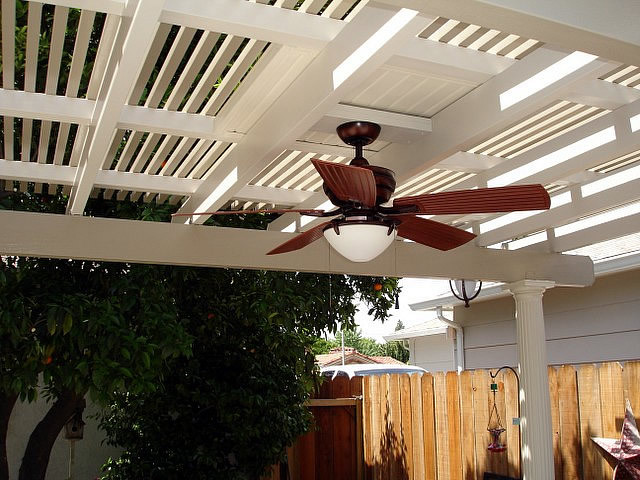 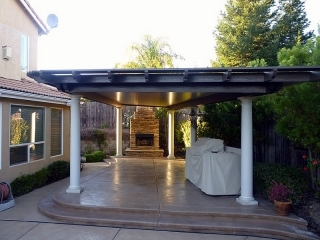 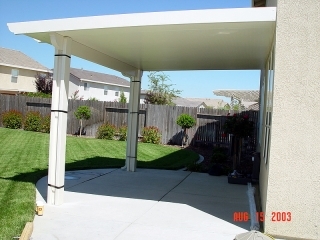 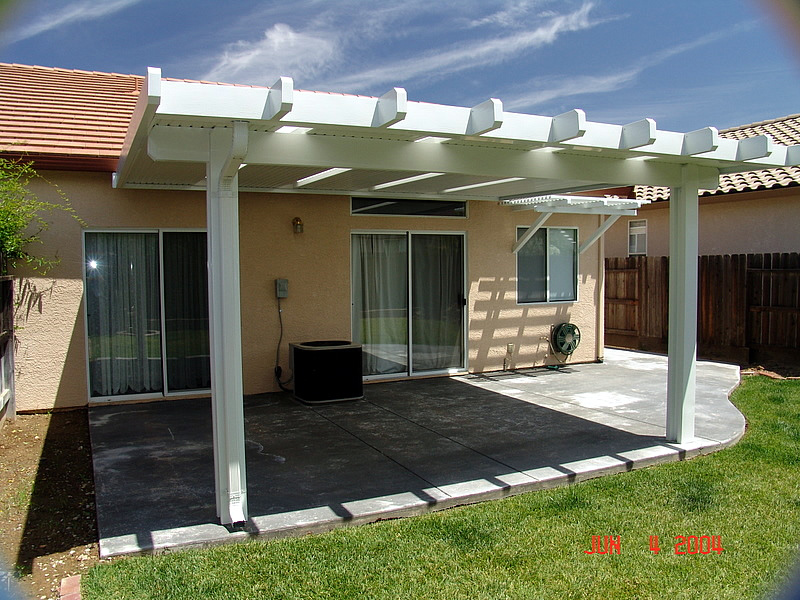 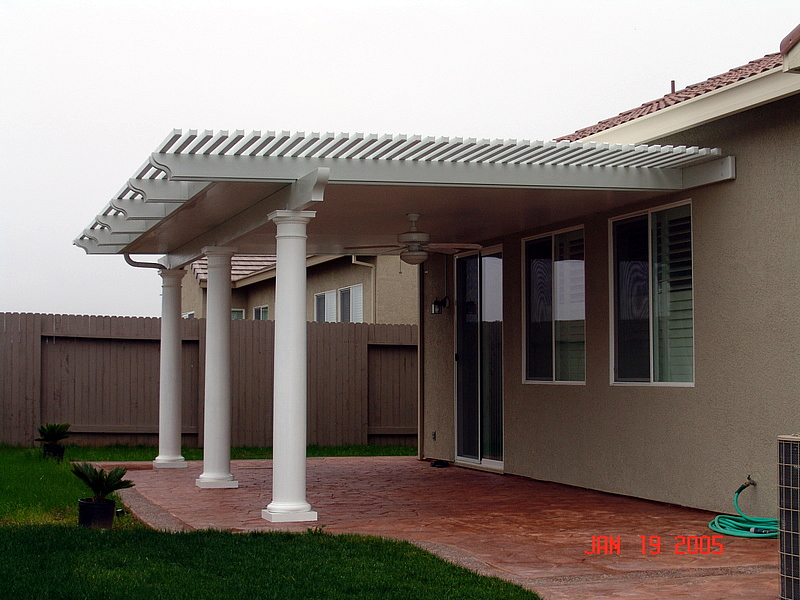 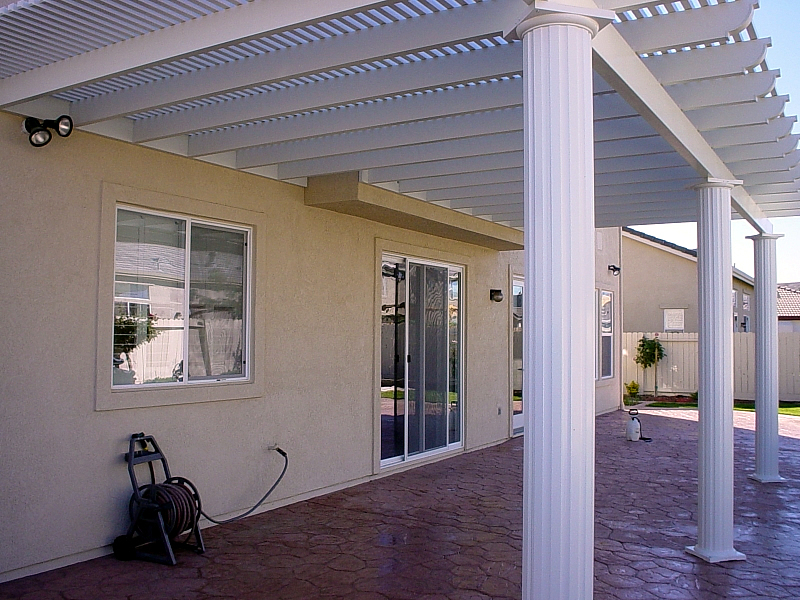 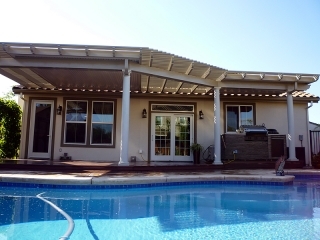 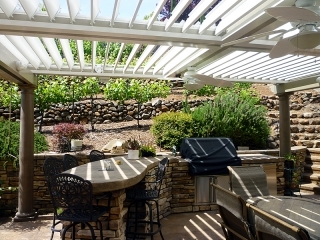 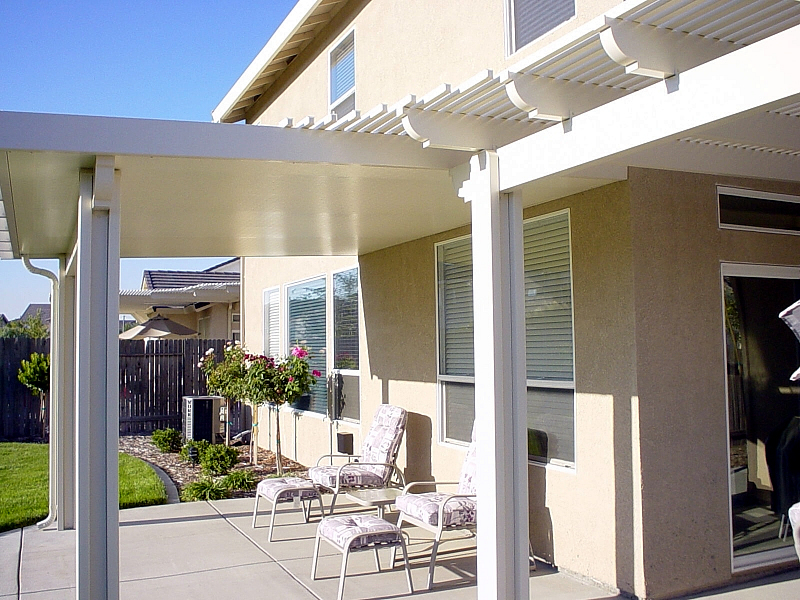 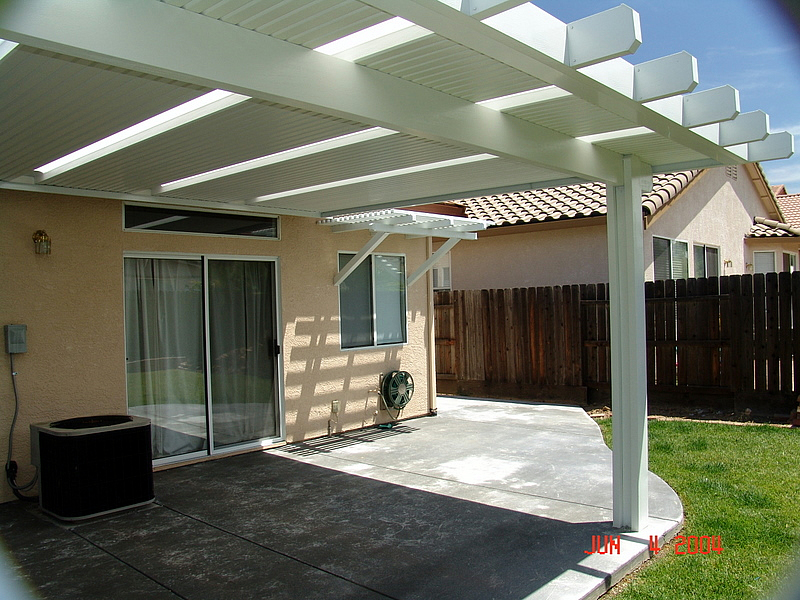 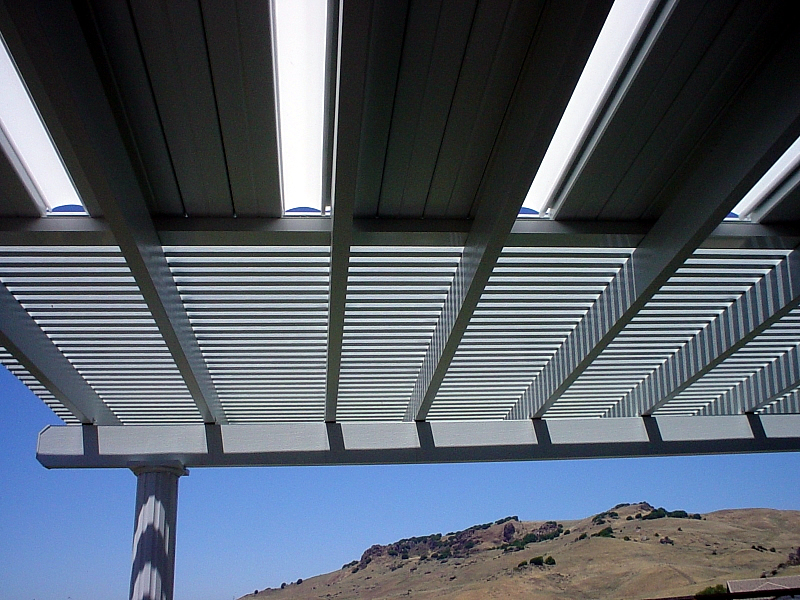 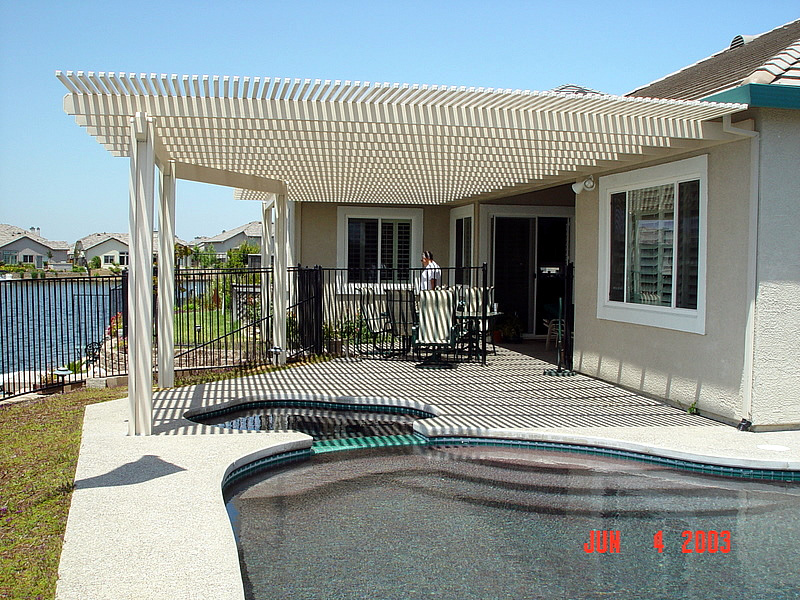 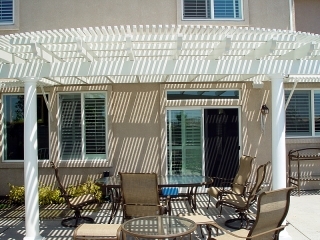 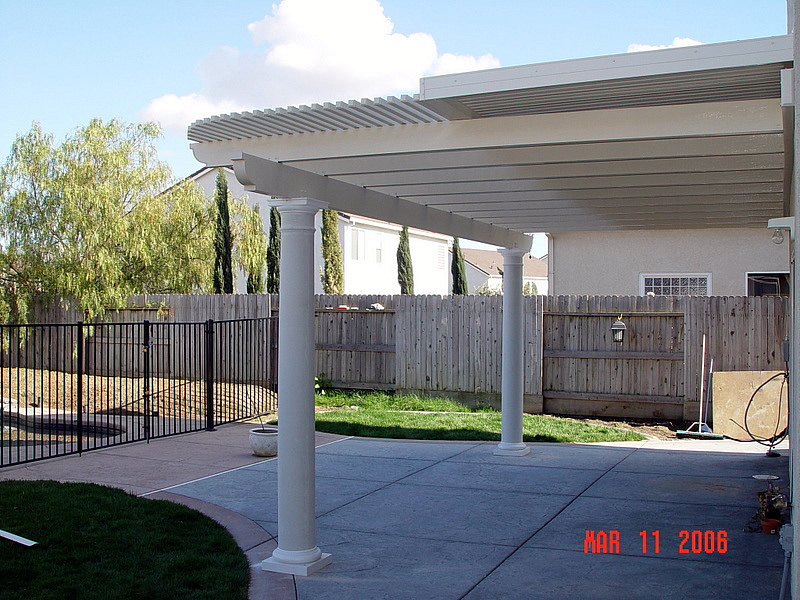 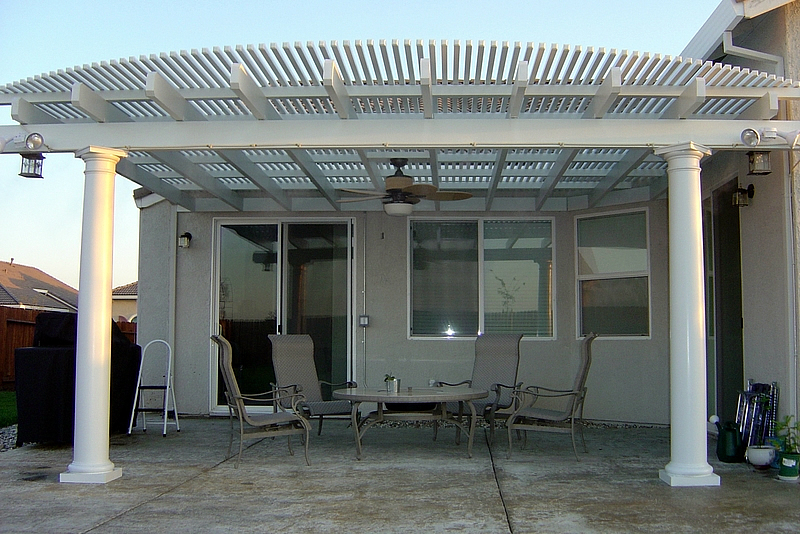 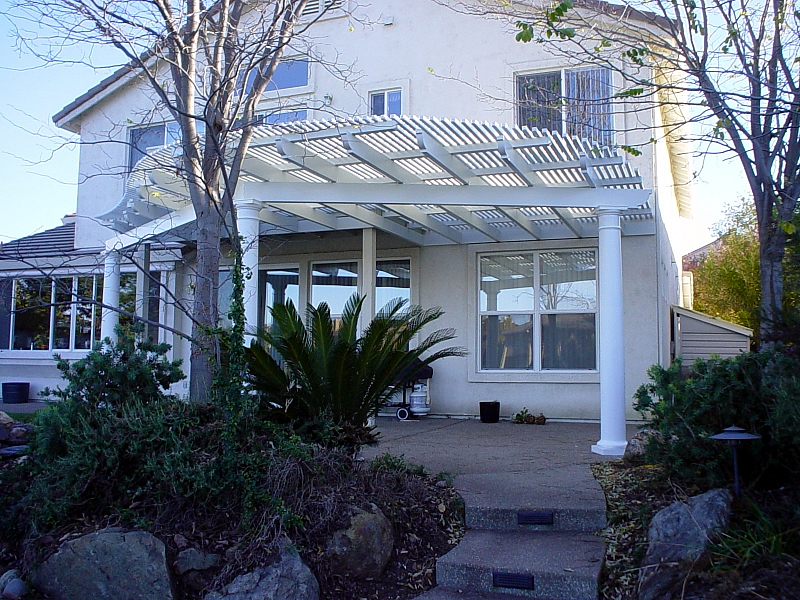 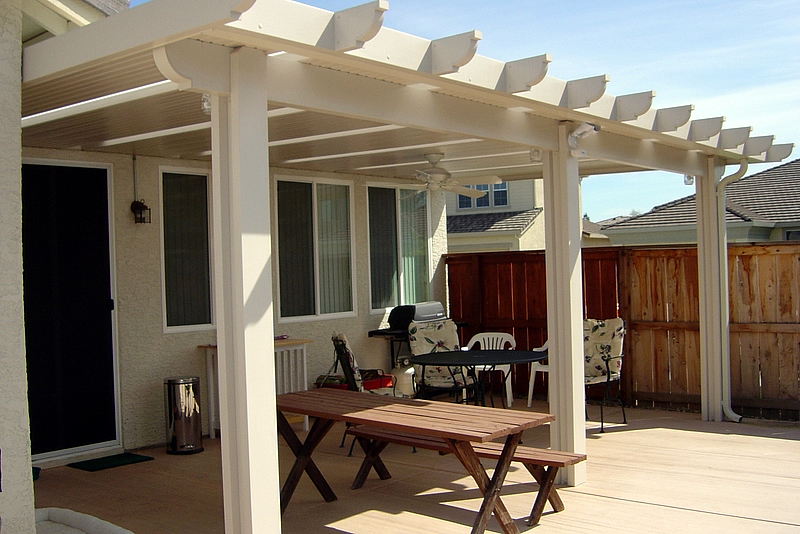 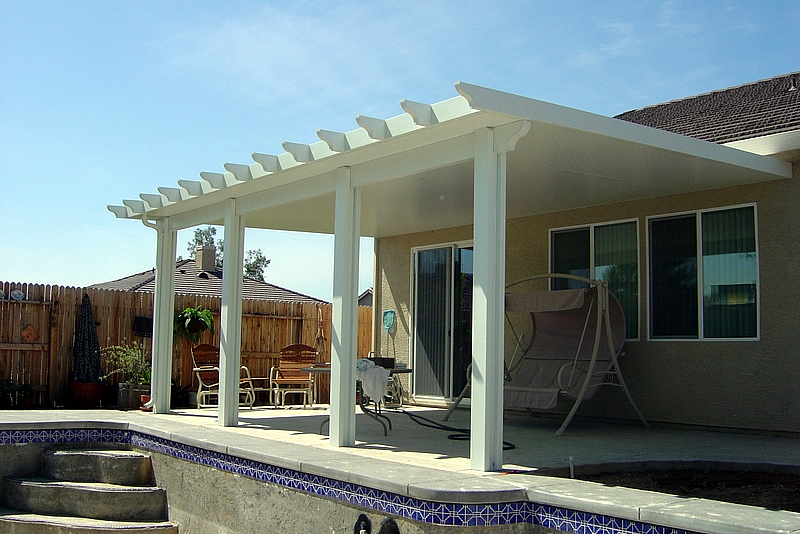 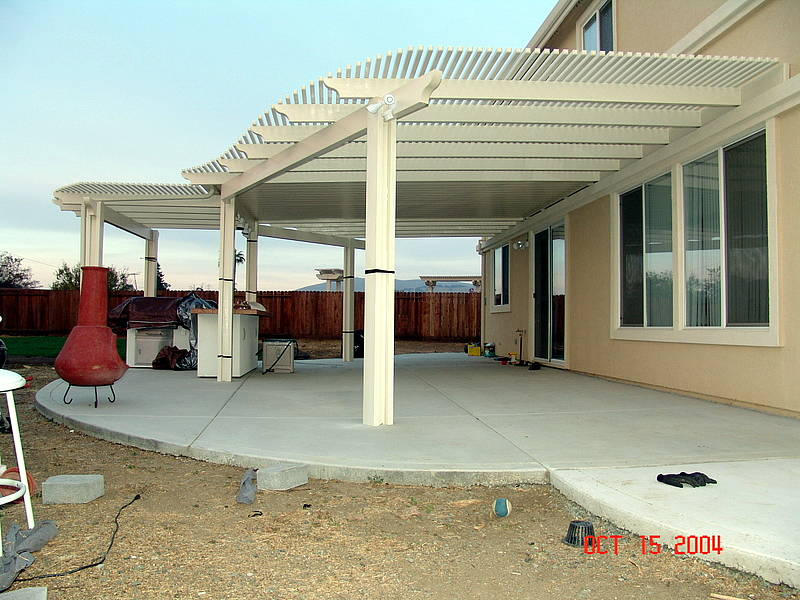 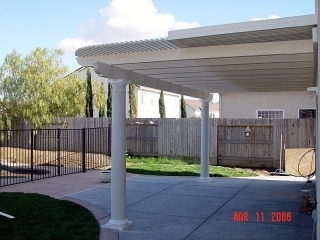 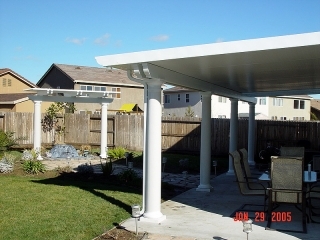 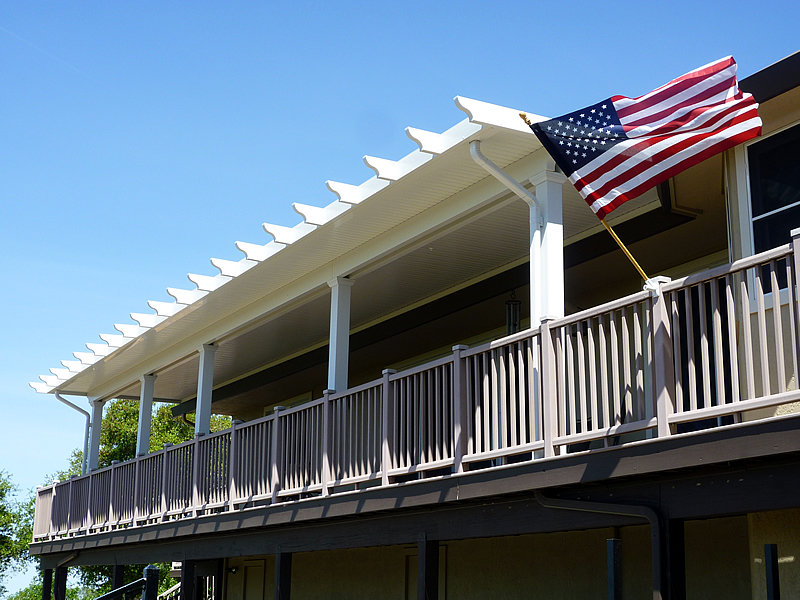 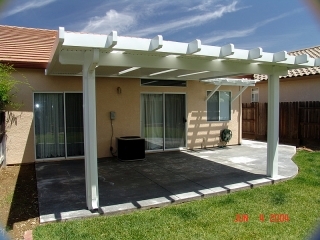 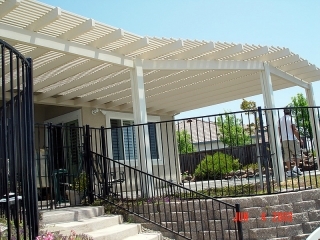 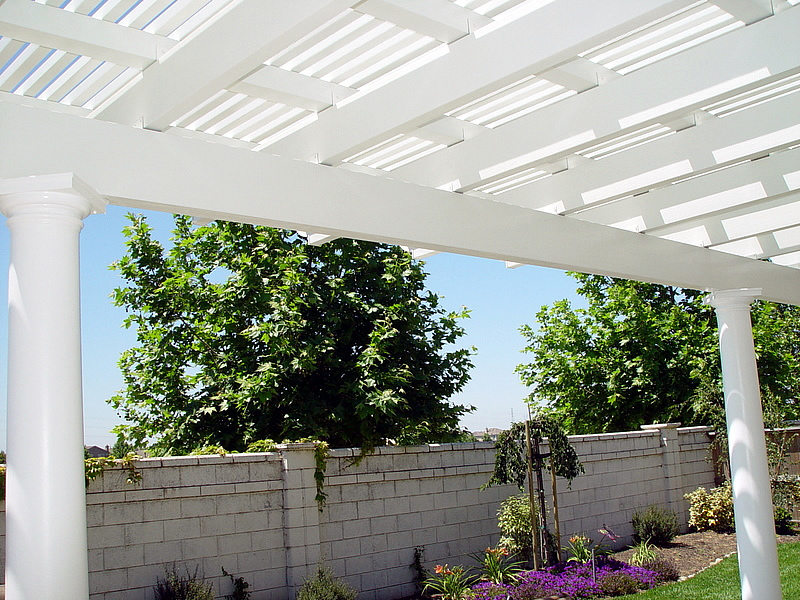 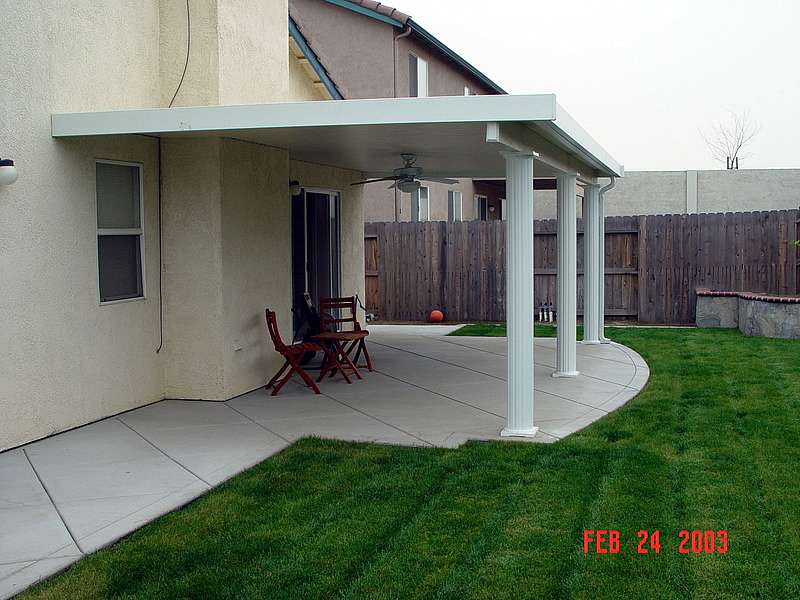 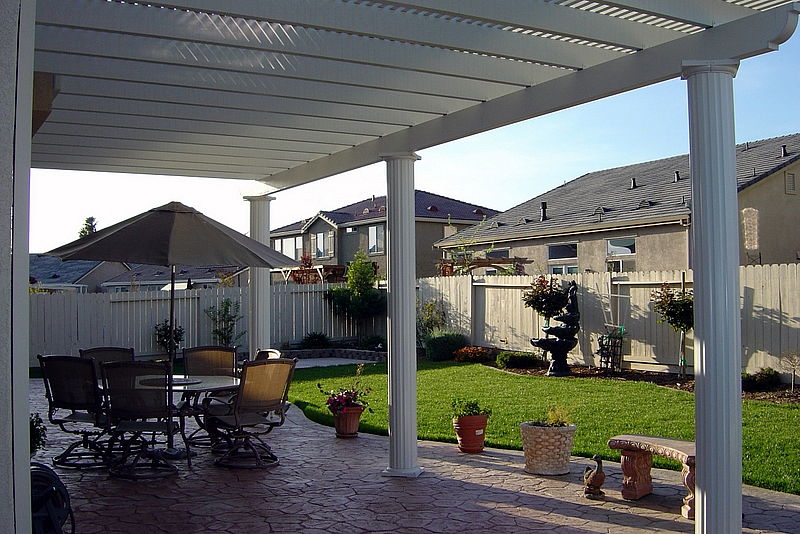 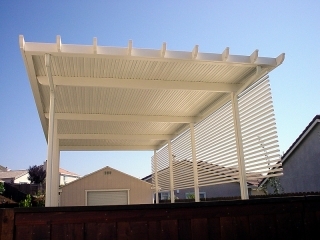 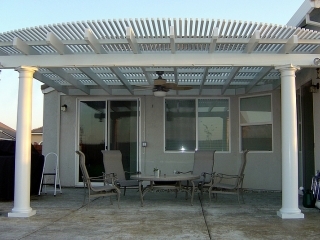 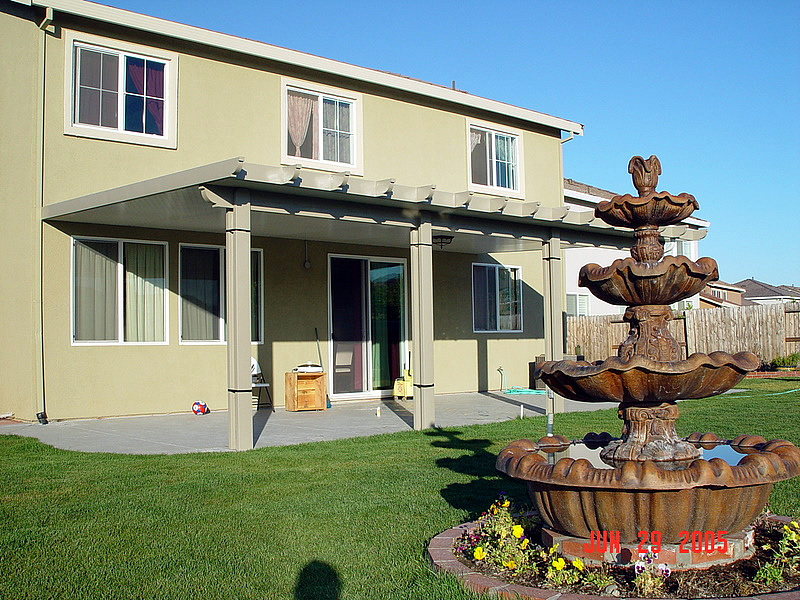 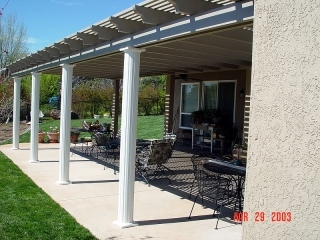 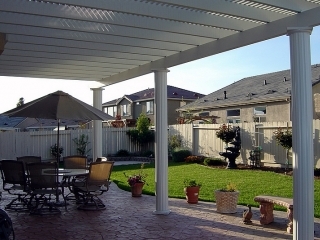 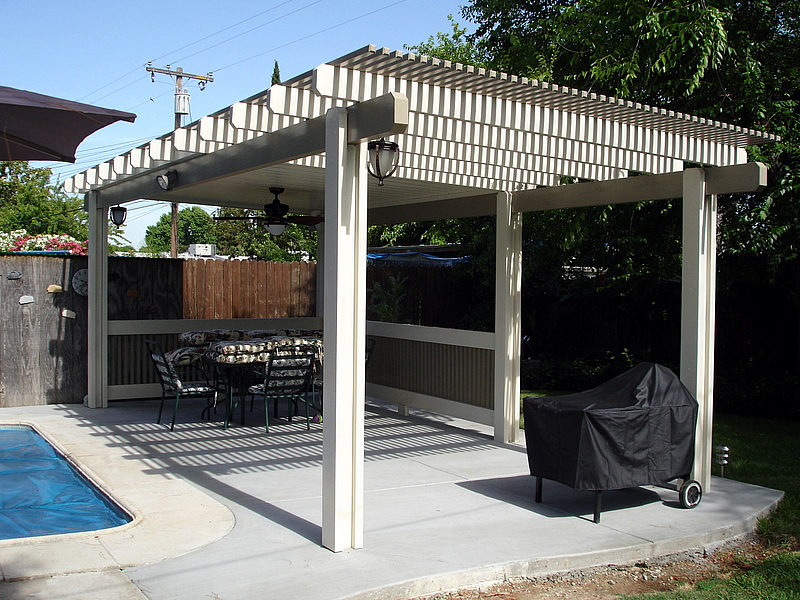 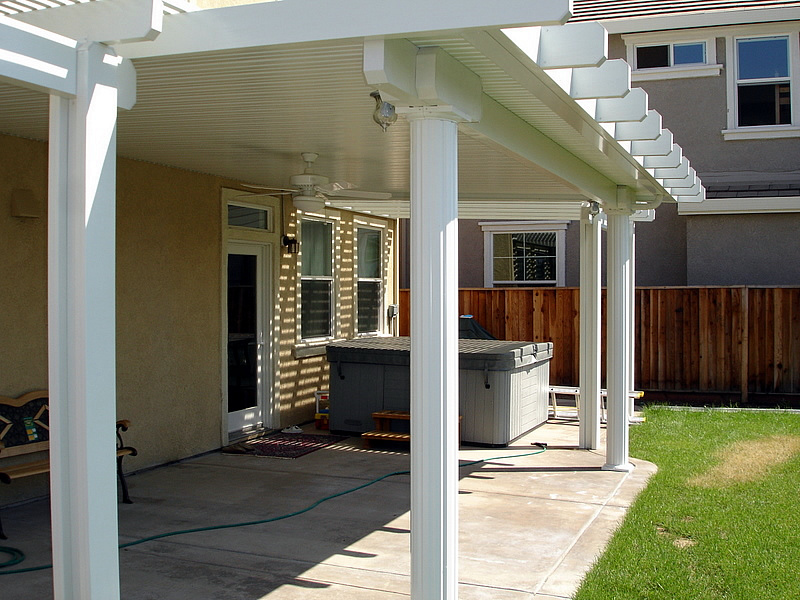 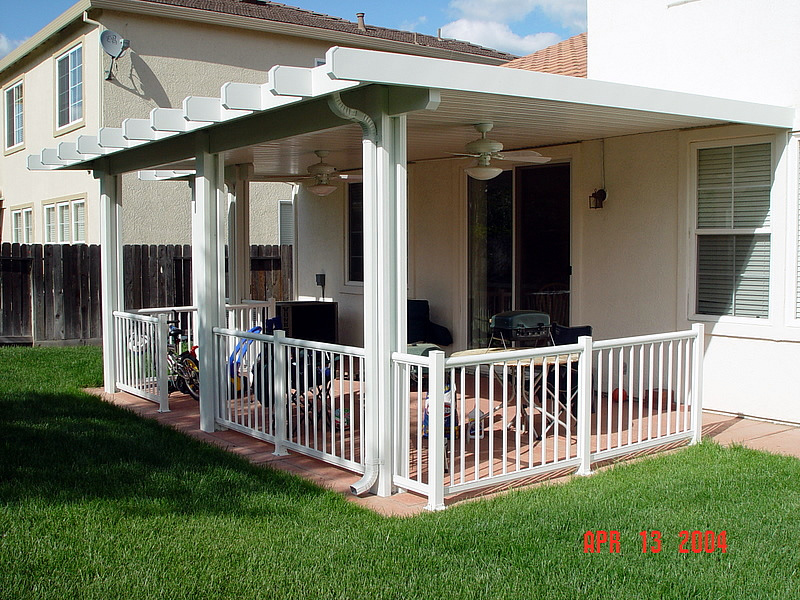 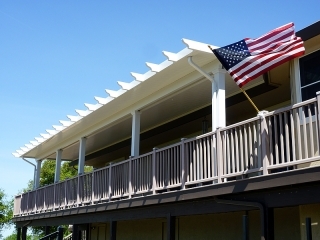 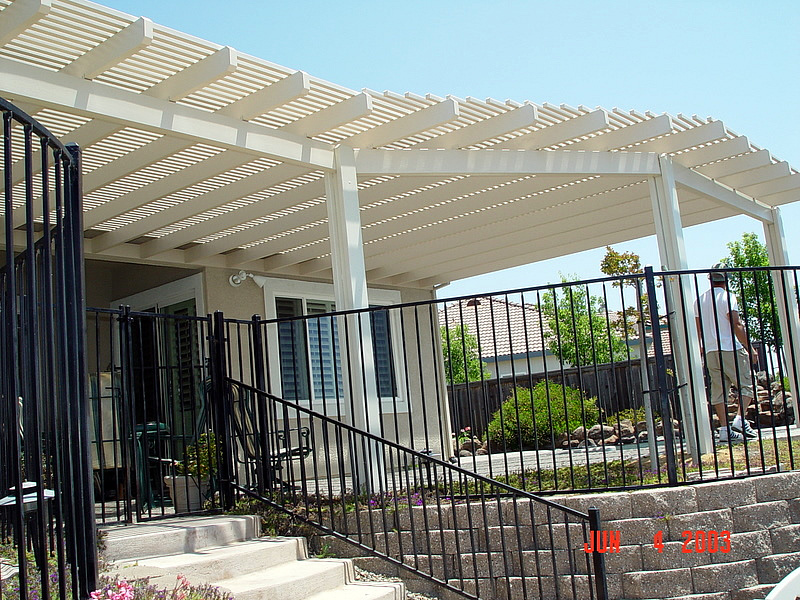 The patio covers we install are made by a local Sacramento company, Duralum Products, and are virtually maintenance-free with a limited lifetime warranty. 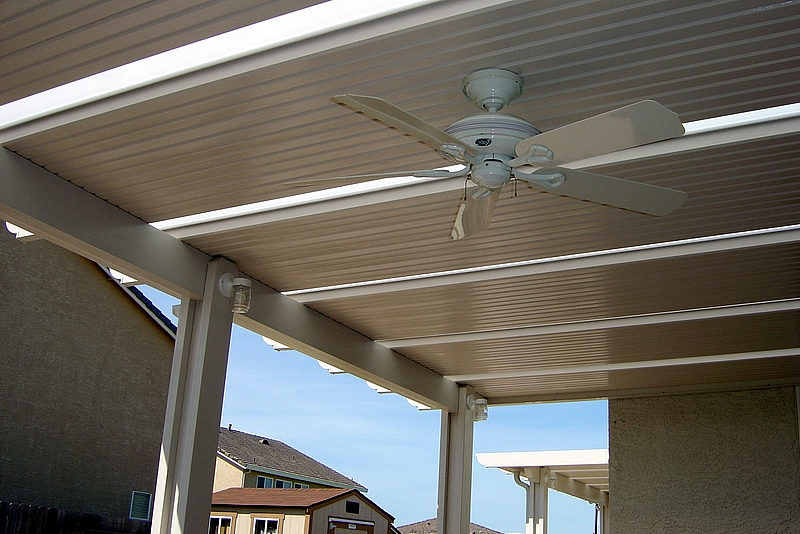 For the ultimate innovation in outdoor climate control, HomePRO also offers the Apollo Opening Roof System. 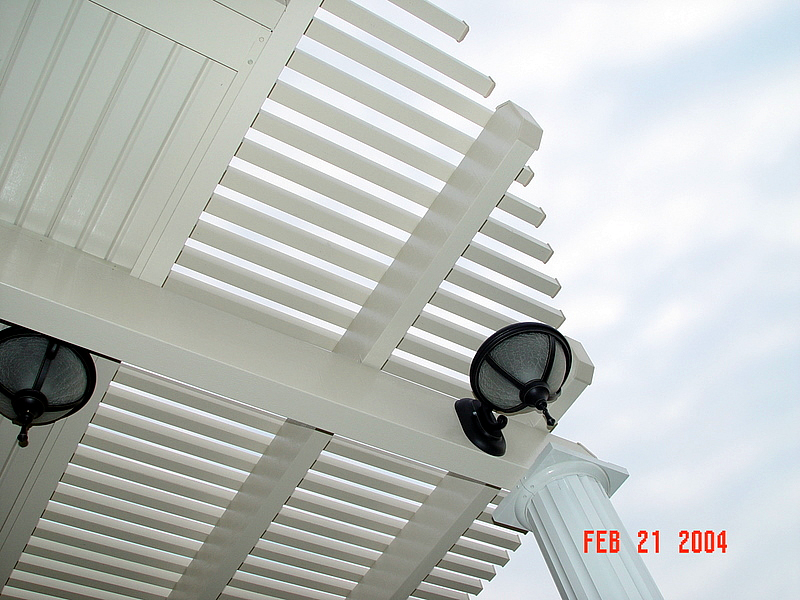 Install a lattice cover or a solid cover or combine the two for your exact needs. For added comfort, we offer insulated covers as well. 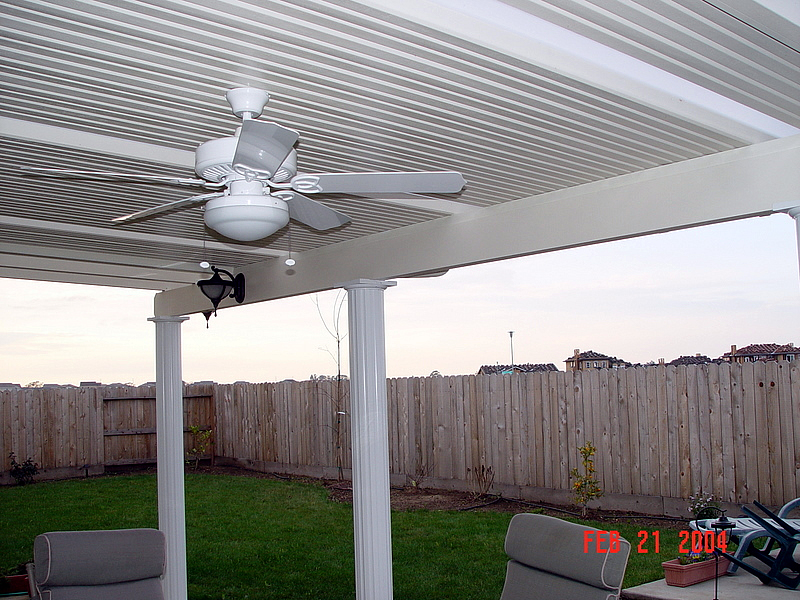 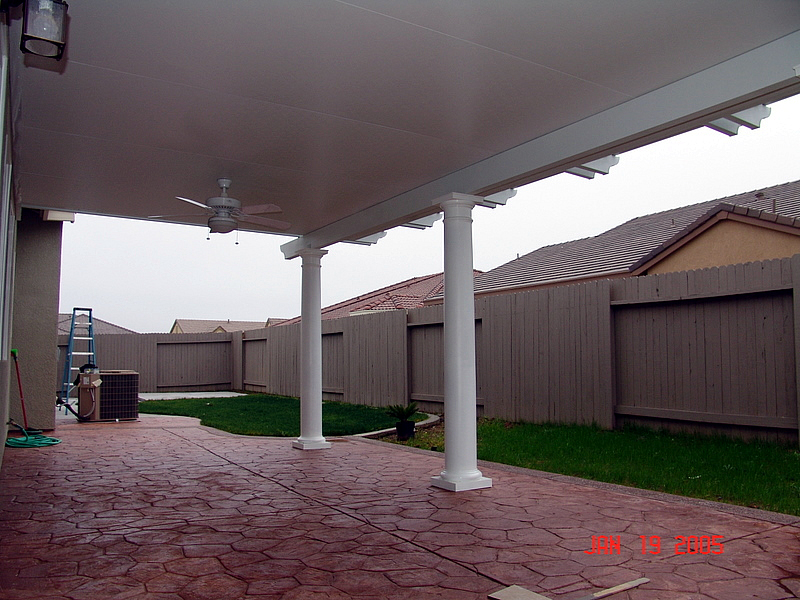 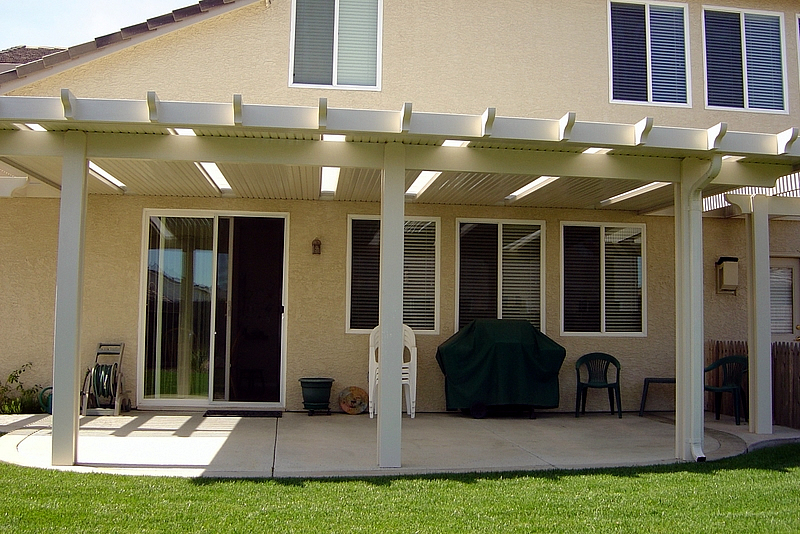 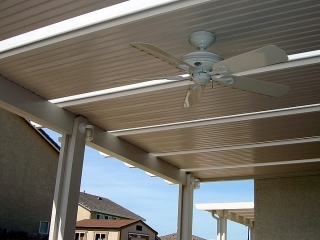 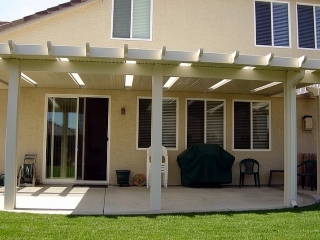 You can also add exterior lights, plugs and ceiling fans to your new patio cover for added convenience and comfort. 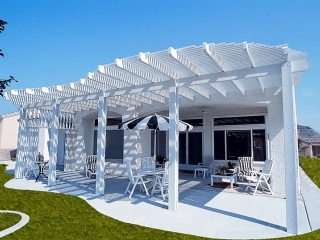 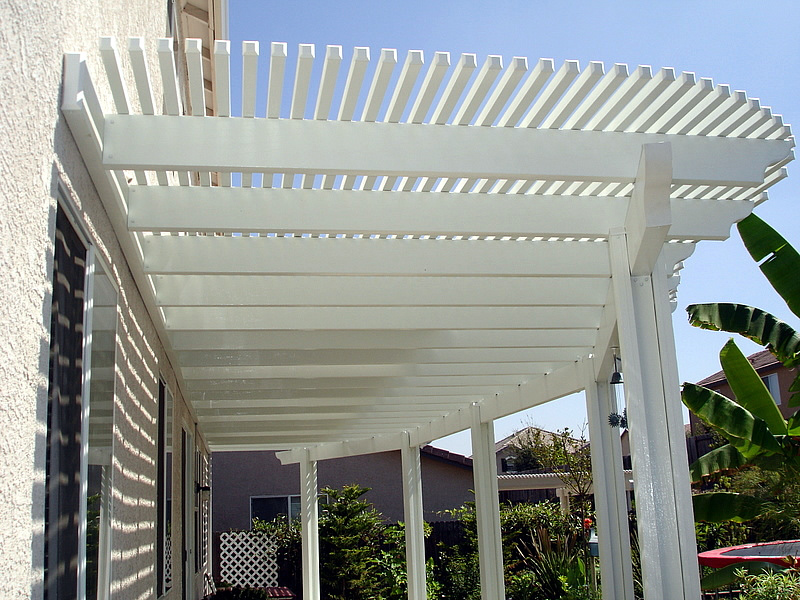 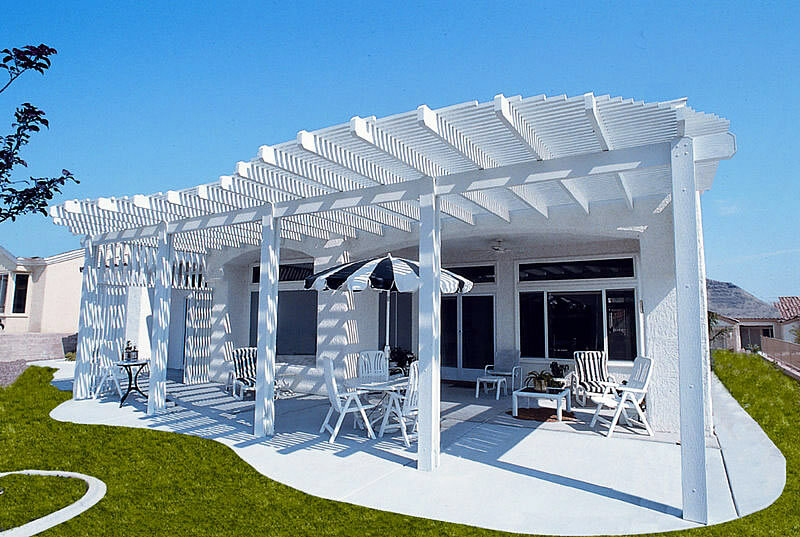 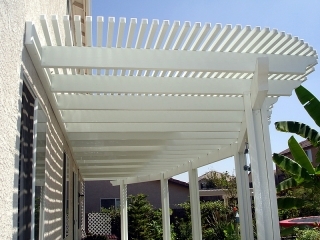 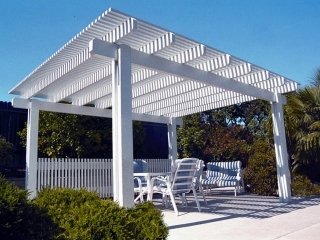 Choose from 6 beautiful colors to coordinate the patio cover with your home’s color scheme. 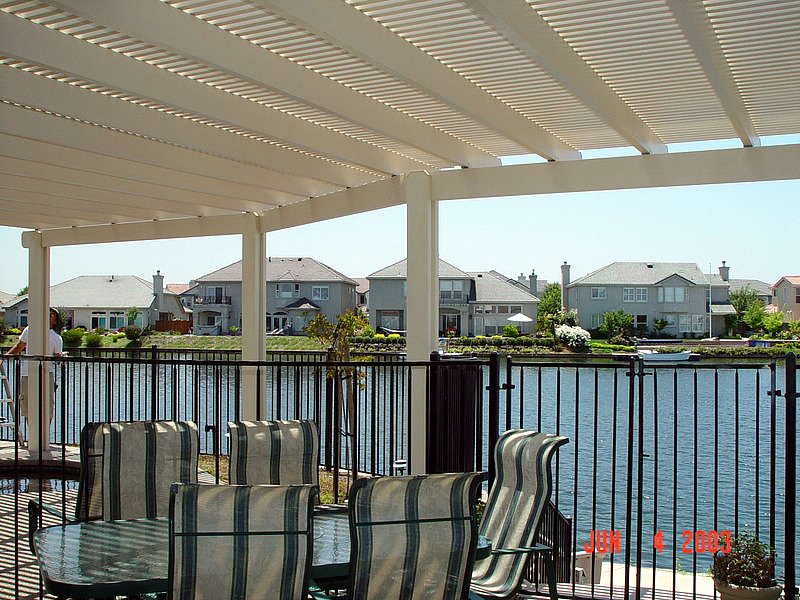 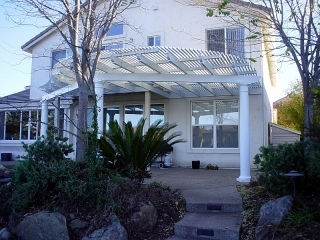 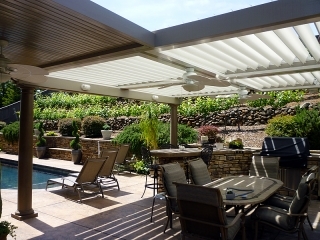 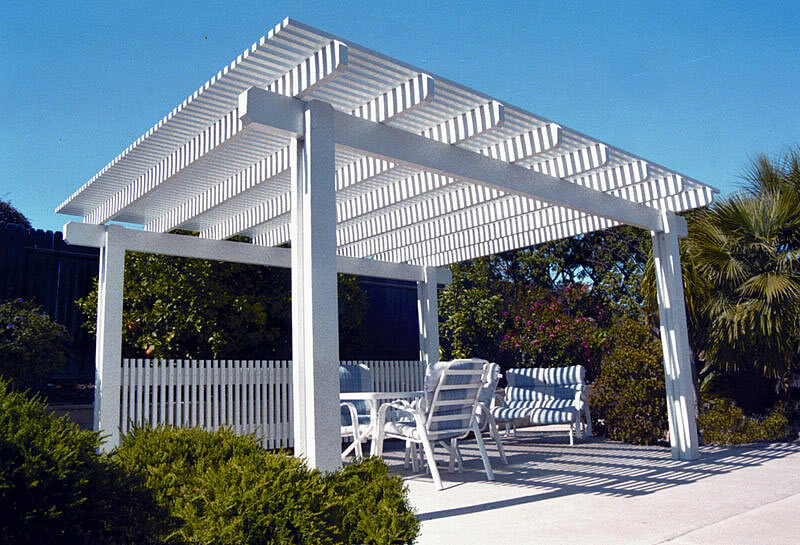 Take a few minutes to look at all of the beautiful patio covers in the patio cover gallery. 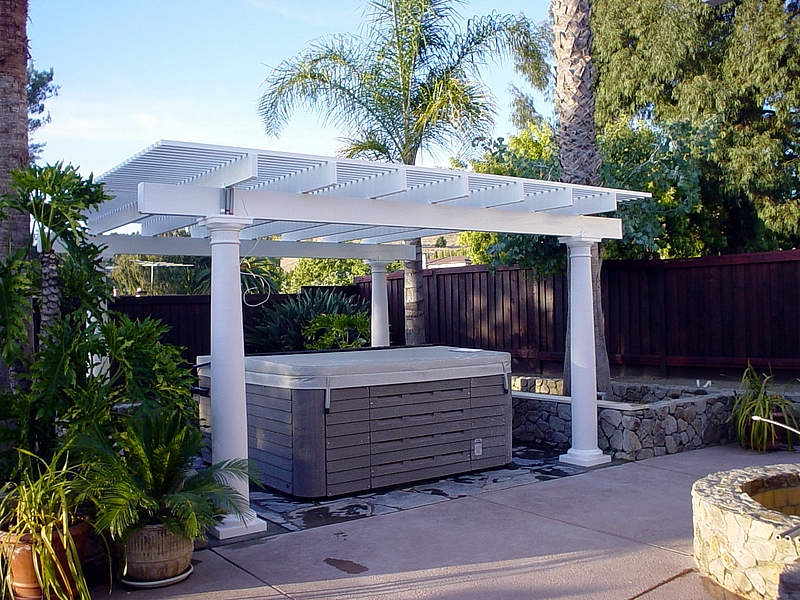 If you are ready to make an investment for your future backyard enjoyment, please contact us today to schedule a free consultation.